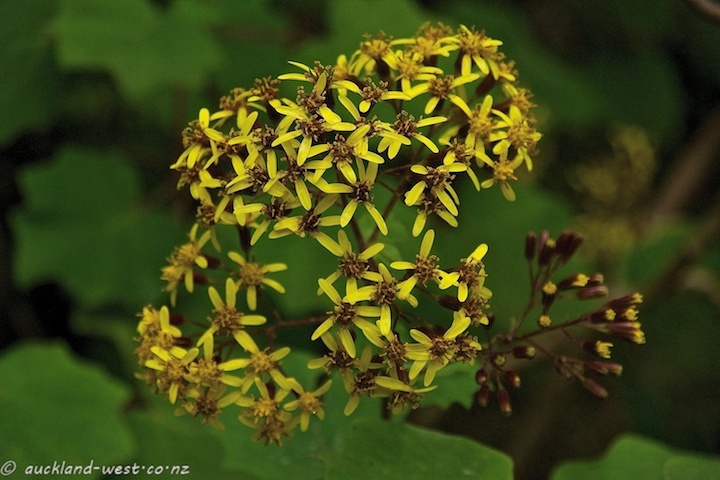 Along the roadsides of the Waitakeres, clusters of yellow flowers herald the impending spring. They are Velvet Groundsel (Roldana petasitis), and they are classified as a weed (invasive). 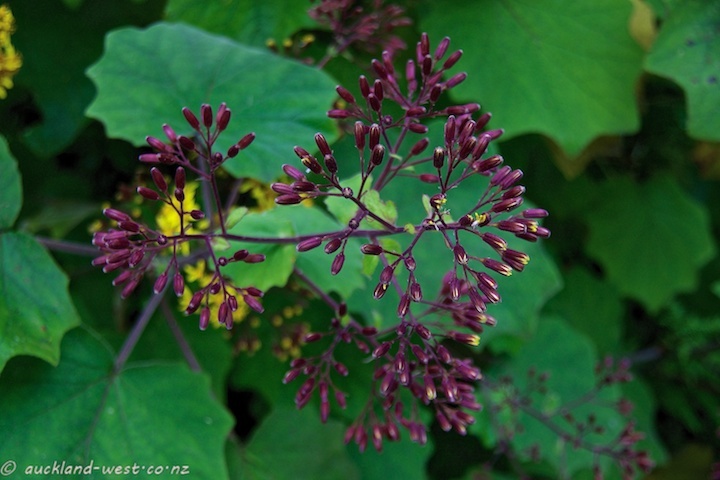 The leaves are furry, and the stems and buds have lovely purple tones.